Desi Smith/Staff Photo. 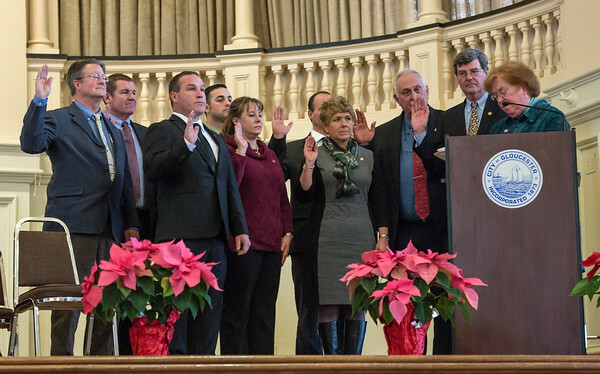 Oath of Office to City Councilors-Elect from left to right are Scott Memhard, James O’Hara Jr, Steve LeBlanc, Joesph Orlando Jr, Melissa Cox, Sean Nolan, Valerie Hanson Gilman, Joeph Ciolino and Paul Lundberg were all sworn in by Cith Clerk Linda Lowe during the Inauguration Ceremony held Friday afternoon at City Hall. January 1,2016.